Moms have busy schedules, there’s no denying that! From driving the kids to extra curricular activities to planning for school lunches and family dinners, it is as if there are never enough hours in the day. So it is no wonder why health can at times be exchanged for convenience when it comes to keeping everyone in the house fed. Thankfully, eating healthy and planning for fruit and veggie filled meals or snacks do not have to be a time consuming task. To get your family on the right track, start storing a variety of frozen fruits and juices in the kitchen and give your kids the options of enjoying quick and easy smoothie blends whenever they might need a little energy boost! 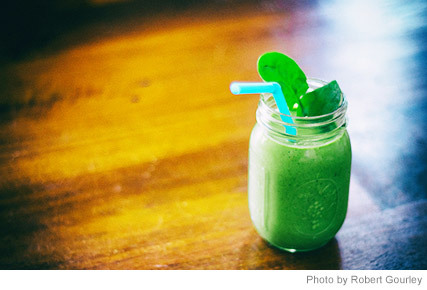 To prioritize healthy eating and help encourage both the kids and adults in your home to regularly eat their fruits and veggies, turn to theses quick and easy smoothie blend recipes which are bound to be a hit. After all, smoothies are refreshing and easy to make since they involve simply measuring out your ingredients, and blending them with a simple switch of a button. As the weather begins to warm in the spring and summer seasons, try these tasty 5 ingredient or less smoothie recipes to learn just how easy blending these fruit filled refreshments can be! Share these quicksmoothie recipes with your family, and as an added activity, ask the kids to help practice their measuring and conversion skills by helping you prep the right amount of ingredients. There’s no tastier way of making sure that they are getting in those daily servings of fruit and veggies!